The second E3 2017 conference (although technically taking place before E3 itself) saw Microsoft and its Xbox business take to the stage for its event. So what did they announce? 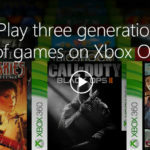 For starters, Microsoft claimed that 22 of the titles shown on-stage were console exclusive games. We also got some Xbox Scorpio news, with the console now being called Xbox One X, and coming on 7 November. But the company had plenty of games to show indeed. Then there’s Forza Motorsport 7, running at 4K, 60fps on the new console. 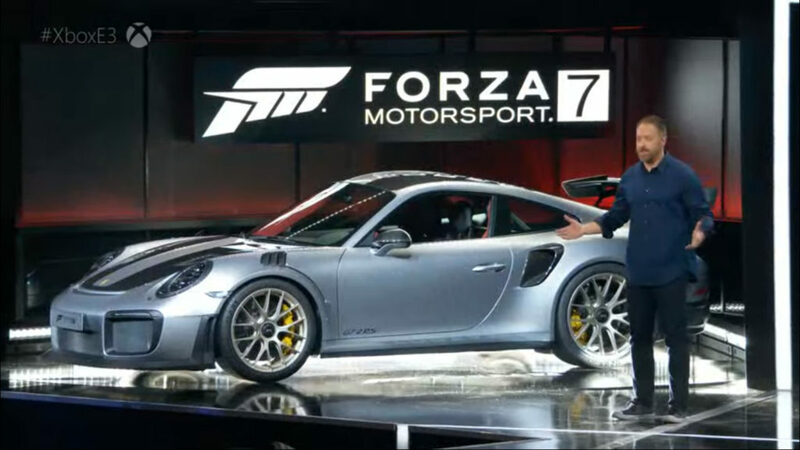 The Forza stage was also used to reveal the latest 2018 Porsche (seen above). The team behind the Metro series has a new title coming out on PC and Xbox One, and it looks awfully similar to the Metro franchise. Because it’s called Metro Exodus… Featuring wide open environments and the same survival horror/action trappings, it looks like a larger scale version of the previous games. Rumours claimed that the next Assassin’s Creed game would be coming to Egypt, and they weren’t wrong. Assassin’s Creed Origins, marketed as an origin story of sorts (obviously) sees players dealing with the usual bad guys, as well as crocodiles, hippos and giant snakes. The title’s trailer also shows off pyramid climbing, Nile cavorting and Roman-style colosseum combat. Gameplay footage also showed off a few abilities/features, such as using an eagle to plot the route ahead, and Zelda-style slow-mo when using a bow. Talk about living under a rock, I had no idea this game existed, let alone had a following. But anyway, the title is coming to Xbox One as a console exclusive “later this year”. Another exclusive title, Deep Rock Galactic seems to be a cooperative adventure with a healthy helping of Left 4 Dead. The trailer showed four gamers battling against swarms of alien creatures while exploring various environments. Here’s hoping it has legs. The first game was a pretty innovative survival horror sandbox title, as you regularly ventured out of your stronghold to rescue survivors and gather resources. The sequel delivers more of the same, plus better visuals and new zombie types. Expect a Spring 2018 release. Esports is a big deal these days, so we were bound to see a title in this regard. And that title is The Darwin Project, being a third-person online combat game that emphasises melee combat with a dash of projectile weapons and abilities. What happens if you combine Blade Runner with a modern take on Flashback? You get The Last Night — well, at least to me. The side-scrolling title offers some neon visuals, open world gameplay and the choice between action and stealth. Like MMOs? Well, Black Desert might be for you then. Being a “console launch exclusive”, Black Desert has you battling other guilds in “epic siege warfare”. What started out as a title to demonstrate VR gaming, Super Lucky’s Tale also evokes platformers of yore. You’ll be collecting coins, battling bosses and more when this title drops in November. Yep, everyone’s favourite (only?) 1930s style platformer is coming this year. Microsoft’s conference saw a 29 September launch date announced for this console exclusive (it’s also a Play Anywhere game). Yep, the game may have gone silent for a while, but Crackdown 3 has resurfaced again. And it’ll be launching on the same day as the Xbox One X, on 7 November. Now, let’s hope the Azure-enabled destruction lives up to the hype. It’s arguably the most anticipated new IP on Xbox One, but shared world adventure Sea of Thieves won’t be coming this year. Still, we got a meaty look at the game at E3, along with an “early 2018” launch date. It wouldn’t be an Xbox E3 event without a montage of indie games that didn’t fit anywhere else. From Paladins and Unruly Heroes to Astroneer and Conan Exiles, there was a solid variety of titles on hand. Ori and the Blind Forest was one of 2016’s best Xbox titles, delivering fantastic gameplay and great production values.